We at Hawthorne Valley Farm Learning Center are once again offering our farming course, beginning in October 2010, called Hudson Valley Farm Beginnings®. This program will include seven classroom sessions in on-farm goal setting, strategic and business planning, marketing, and financial management, for those interested in developing or expanding farming enterprises. Hudson Valley Farm Beginnings is farmer led and farmer taught so participants will gain access to many local and regional farmer-mentor colleagues during the classroom sessions and during four additional field days at local, sustainably managed farms. After completing a fully articulated and written business plan, participants will be able to have the plan reviewed by a farmer- mentor of their choosing. 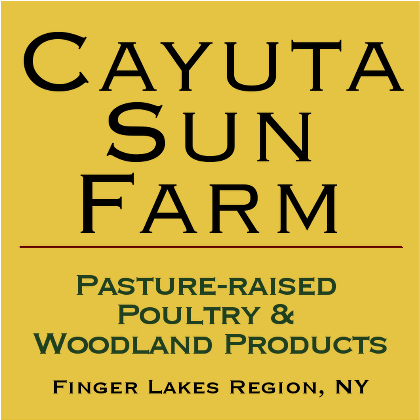 Hudson Valley Farm Beginnings is based on curricula developed by the Land Stewardship Project and Angelic Organic’s Learning Center, programs which have graduated over 500 farm entrepreneurs in past years. This course will bring apprentices, new farmers, current landowners and future farm entrepreneurs together to work toward making their agricultural dreams a reality. For information about this program, please access our website, http://www.hawthornevalleyfarm.org/education/farmbeginnings.htm. A course summary and a video about the class, with last year’s participants, are also available at this site. For questions, or to submit an application, please contact Caroline Smialek at 518-672-7500, x105, or caroline@hawthornevalleyfarm.org.